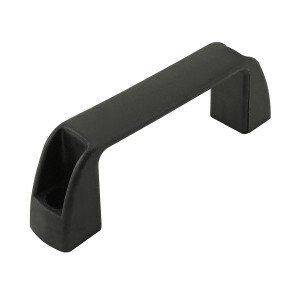 Small corrosion resistant plastic door handle is ideal for T-slot frame doors. Unit bolts directly to doors and panels. High strength black polycarbonate.